Both are critical for working well together. If you have not done so already, take a look at the five dysfunctions of a group. Trust is foundational to building good relationships. Healthy two-way communication is the key to establishing a level of trust in your working relationships. What your peers expect is very good information to know because, although you do not report to them nor they to you, you are on the same team. And whether we voice them or not we all have expectations of our colleagues/coworkers. Therefore, knowing what is expected puts you in a better position to either "hit the target" and/or it presents an opportunity to help manage your peers' expectations. You also get the opportunity to discuss the expectations you have of your peers. So, it really is a two-way street. 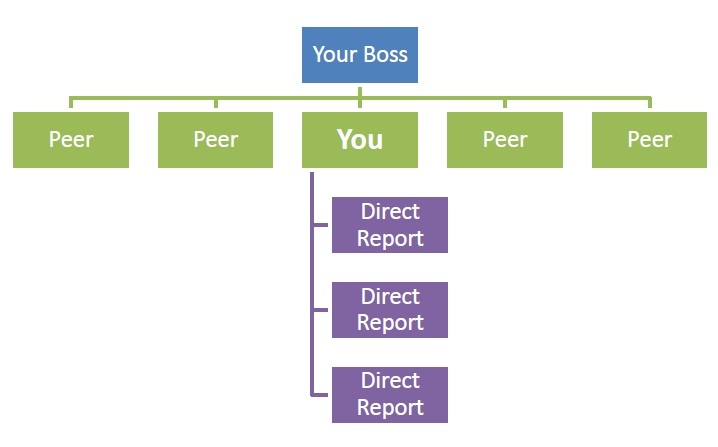 You report to the same boss. You do not report to the same boss, but you work together on a consistent basis to achieve common goals. First, start with what I call "Near Peers," These are co-workers who report to the same boss. Since you are on the same team, working well together will be critical for success for you as a department and for your function. Second, talk to those peers you rely on heavily and with whom you must have a high level of cooperation to reach your organizational goals and objectives. Then, talk with those peers with whom you interact but do not necessarily rely on as heavily to reach your goals. Why do I recommend you follow this order? Because you must prioritze how you will approach this process. Doing so this way allows you to start at the most urgent and important. Also, this process will help you build working relationships that contribute to success not only in the short term, but in the long term as well. To record what your peers expect, use this worksheet. Does knowing what my peers expect of me mean I should meet or exceed all of them? No, not necessarily. It does mean you can level-set and help manage your peers' expectations, once you understand what they expect of you. Keep in mind that once you identify what is expected, you must prioritize them in the order of importance. Since your boss usually has the last say on whether your performance meets or exceeds expectations, meeting your boss' expectations must be at the top of your list. To know more about what your peers expect, take a look at ways to foster teamwork.